The Library Carpentry sprint is part of the Library and Information Association of South Africa 2017 Conference, which will take place on 2 October, 2017 in Johannesburg. For those new to the field, a sprint is like a hackathon - it is a way to get people working together to create, update or extend open projects like Library Carpentry. We’ll use this etherpad to organize the sprint. I’m taking off for South Africa later this eve and will be teaching and participating in several events while there. I’m super excited about joining my hosts, @anelda and @zjsteyn, for 2 weeks in Joburg. In Teaching What You Don’t Know, Terese Huston interviews 28 faculty and administrators about their experiences teaching outside their expertise. There are clear reasons on why you would not want to do this. 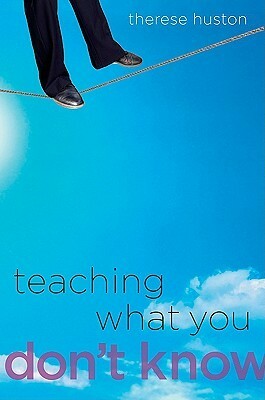 Generally, the author found that teaching what you don’t know can be very stressful. An instructor doesn’t want to be outsmarted by students or asked questions she or he can answer. Also, when teaching outside of your expertise, you typically spend more time preparing for the courses. An opportunity to learn something new and most academics love to explore and learn something new. A corollary benefit of this is that teaching is a real solid way to focus the mind to be able to learn something. An opportunity to connect with faculty outside of your department. If you are teaching subject where someone else on campus in another department has content expertise, asking for that person’s help with the class is a great way to make new acquaintances. Broadens your CV and you become more attractive to potential employers because you become more versatile. Can lead you to developing a new area of research. Huston, Therese. (2009) Teaching what you don’t know /Cambridge, Mass. : Harvard University Press. In the first chapter, the author lays out some of the underpinnings for why teaching what you don’t know, though often not talked about, is prevalent in academia. She interviewed 28 faculty and administrators about teaching outside of their expertise and found that most teach what they don’t know, roughly, because of factors, such as where they teach, what they teach and the way higher education works. Faculty and instructors that teach at smaller institutions are more likely to pick up course in topics they didn’t study in graduate school. The simple numbers dictate that you will have to cover more areas because of fewer instructors in smaller schools. Faculty that teach as part of a general education program or who are responsible for cross-disciplinary seminars are often teaching beyond their expertise. Additionally, many departments offer courses that are so broad that instructors can’t be experts in all of the represented topics. The author gave an example of a Law professor who teaches property law but noted that property law can cover material that is grounded in a thousand years of jurisprudence history. Subsequently, a professor who specializes in a sub-sub-sub part of that history will ultimately routinely be asked to teach outside of their area to contribute to the curricular offering of their school. On July 28, 2016, I presented to a UCSD epidemiology group at the Medical Teaching Facility on using estout to autogenerate regression tables for publication. estout is a Stata package that makes it easy to produce publication quality regression tables in Stata. It also has provides various output formats including CSV, RTF, HTML or LaTeX. After attending a bash class I taught for Software Carpentry, a student contacted me having troubles working with a large data file in R. She wanted to filter out rows based on some condition in two columns. An easy task in R, but because of the size of the file and R objects being memory bound, reading the whole file in was too much for my student’s computer to handle. She sent me the below sample file and how she wanted to filter it. I chose AWK because it is designed for this type of task. It parses data line-by-line and doesn’t need to read the whole file into memory to process it. Further, if we wanted to speed up our AWK even more, we can investigate AWK ports, such as MAWK, that are built for speed. I’m teaching bash shell and Git at a two day workshop at UCSF from 8/4-5. Ted Hart @emhart is teaching R. Lots of fun so far!